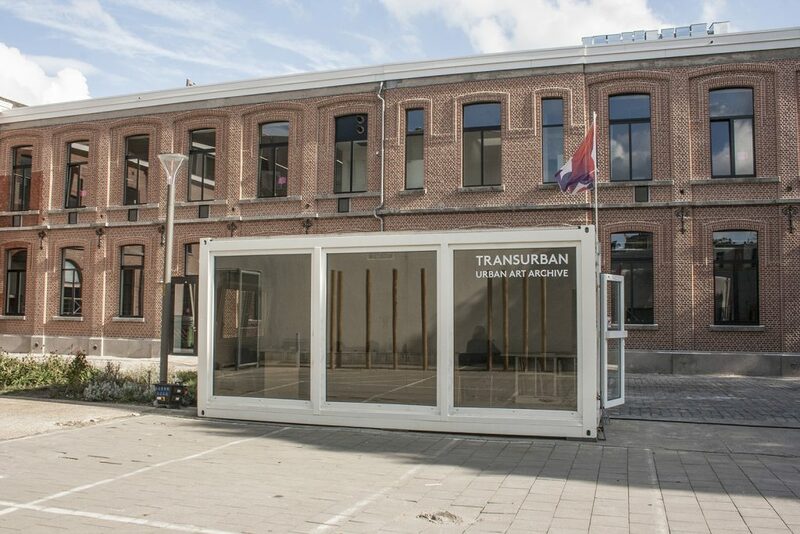 In order to explore ever new cities, their public spaces and urban artworks, the Urban Art Archive travels from city to city in the form of a built-out sea container. This traveling laboratory is conceived as an urban and digital research space enabling visitors to explore and document artistic interventions and appropriation processes in urban space. A digital, spatially structured and interactive database forms the basis of the archive. It is a gradually developing archive that catalogues, locates, connects and makes information available in a systematic way. It collects texts, images, locations and data on Urban Art and thus also takes account of the instantaneousness and transience that characterize urban processes. It directs one’s attention to current artistic positions, actors, sources, mediators as well as to past, vanished or nearly forgotten artworks and interventions. The archive was initiated as part of North Rhine-Westphalia’s Urban Art platform TRANSURBAN in 2017 and is currently operated by Cologne-based art association artrmx e.V. From March 23rd till April 14th we embark on a research journey through Amsterdam as part of the international art and research program [re/dis]cover. During that period you can visit us from Wednesday to Sunday between 1pm till 7pm at the Heesterveld Community in Amsterdam Zuid-Oost. For questions or entries feel free to get in touch via archiv@trans-urban.de. Thanks to Ministry for Culture and Science of the German State of North Rhein-Westphalia, Fonds Jonge Kunst and Consulate Generale of the Netherlands for the support!